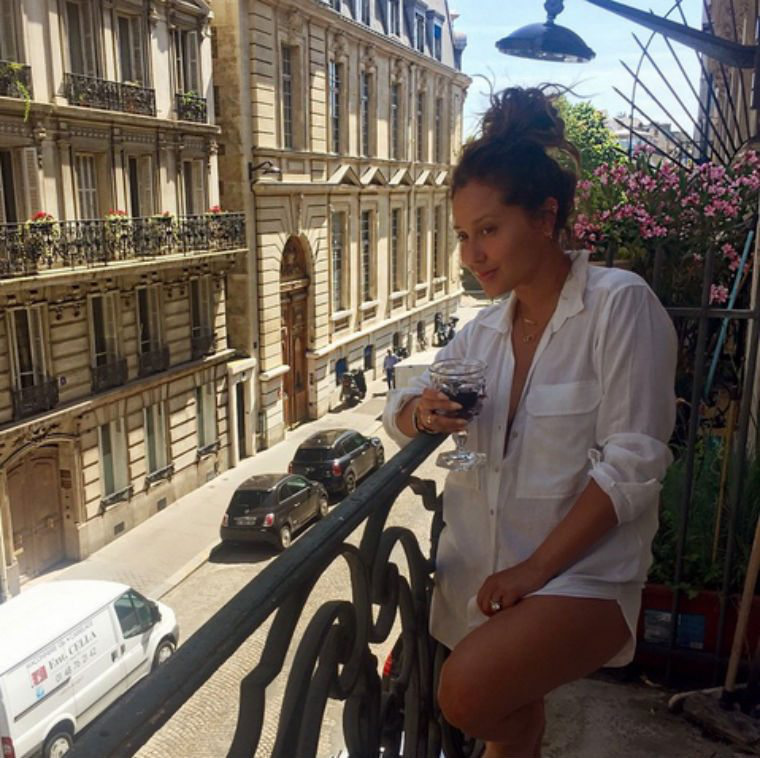 The ladies were genuinely happy and even brought to tears when Adrienne Bailon announced she would be marrying longtime boyfriend, Lenny..
Adrienne Bailon is officially Adrienne Houghton! 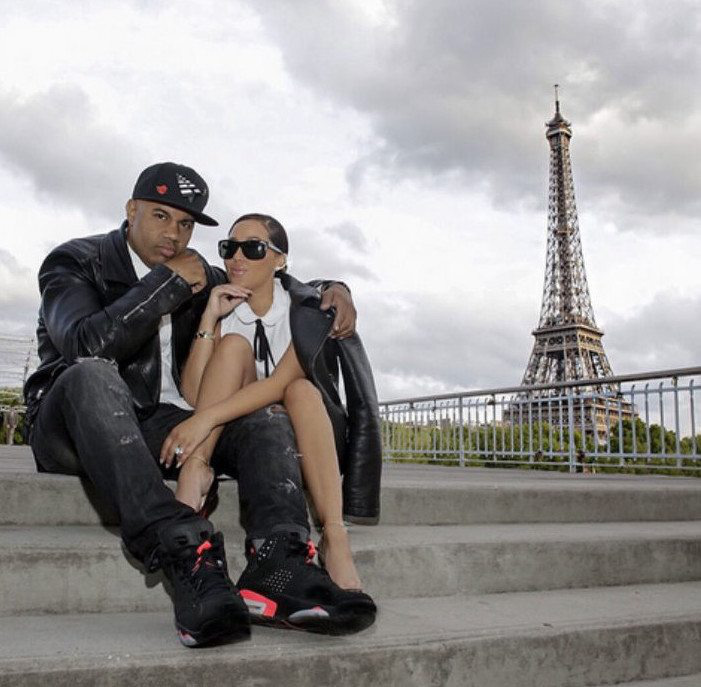 After getting engaged in Paris this past August, Adrienne Bailon has tied the knot to Gospel singer Israel Houghton. The two became one Friday, November 11th in a hotel in Paris, France. Last month the two celebrated Adrienne's bridal shower so it's no surprise that they choose to return to the city of love for their big day. And we see how that kiss went! The road to happily ever after hasn't always been this easy for Adrienne who was previously engaged to longtime boyfriend and Roc Nation executive Lenny Santiago. The news of their sudden breakup became news late last year following the season one finale of The Real in June after Adrienne jetted off to Europe. My prayer has always been that even in the not so great moments, that you remind yourself that everything in life happens for a reason and hopefully it benefits someone else on their journey. When they are going through hard times, maybe someone out there can relate and know that they are not alone. A lot of you guys have been asking me, ‘Where is your ring? Are you still engaged?” And it was a hard decision for me to make. 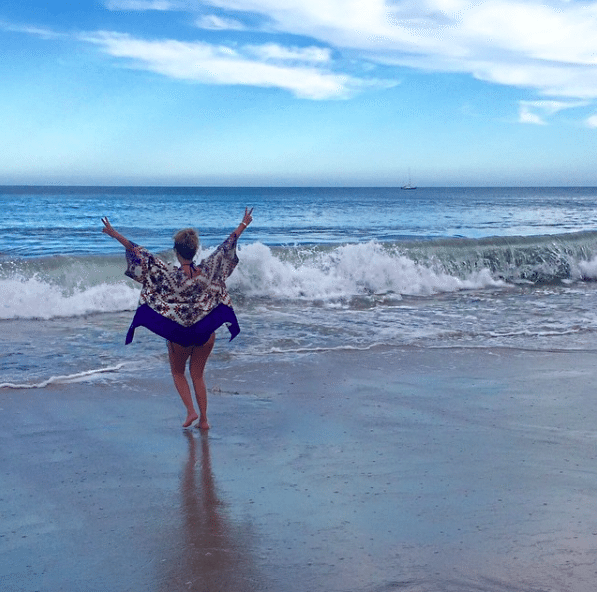 This summer, I went on my little Eat, Pray, Love journey and it was a time for me to come in terms with my own truth and honesty. We are not engaged anymore. We are in a good place, it’s not an ‘awww’ thing, I promise you. We maintained that we will be great friends forever, and I think it was a hard decision to make when you are with someone for such a long time. As women we have a hard time with change, but you have to be true to yourself and you have to be honest with yourself, and having time on my own gave me that opportunity. That was brave and also, admirable of Adrienne. Thankfully the two were able to end their split amicably and hopefully, will continue to remain friends during their now individual quests to re-love! Adrienne seems to be in a much happier place and we wish her and Israel the best! "Eat, Pray, Love" is about Elizabeth Gilbert (played by Julia Roberts) a woman who had everything a modern woman is supposed to dream of having - a husband, a house, a successful career –and yet, like so many others, she found herself lost, confused, and searching for what she really wanted in life. Newly divorced and at a crossroads, Gilbert steps out of her comfort zone, risking everything to change her life, embarking on a journey around the world that becomes a quest for self-discovery. In her travels, she discovers the true pleasure of nourishment by eating in Italy, the power of prayer in India, and, finally and unexpectedly, the inner peace and balance of true love in Indonesia." It appears that Adrienne's "Eat, Pray, Love" moment definitely did her some good. Not everyone may be able to afford a luxe self-evaluation by way of an entire summer vacation, however, there is nothing like a good old "stay-cation" to help you figure out if you are ready for the next step in love or in life, period. Prayer is always free and eating doesn't have to be pricey (even a small bistro or neighborhood coffee shop can suffice for some personal time). Either way, it takes a lot for anyone to walk away from what they know into a world of what they don't. Here is to all the women and men "Eating, Praying, and Loving" themselves into happiness. Check out a few more photos from Adrienne's trip and wedding pictures in the gallery!